For a relatively young band, newcomer Extremities (Eindhoven) is swiftly paving the way within the Dutch metal scene. Influenced by bands such as Gojira, Monuments, Meshugga and Textures, they unleash their distinct sound upon the audience. The particular influence of Textures doesn’t come as a surprise, since Jochem Jacobs (Textures) mentored the band during the development of the debutalbum released July 16th last year. 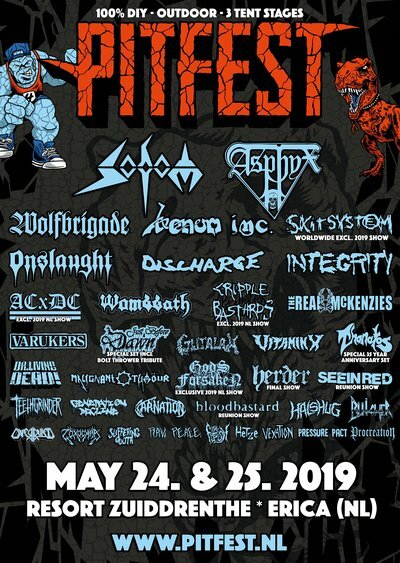 Extremities played on several festivals such as Eurosonic/Noorderslag and the Dynamo Metalfest, where they won the band metalbattle, hence their spot as opener on this prestigious festival. 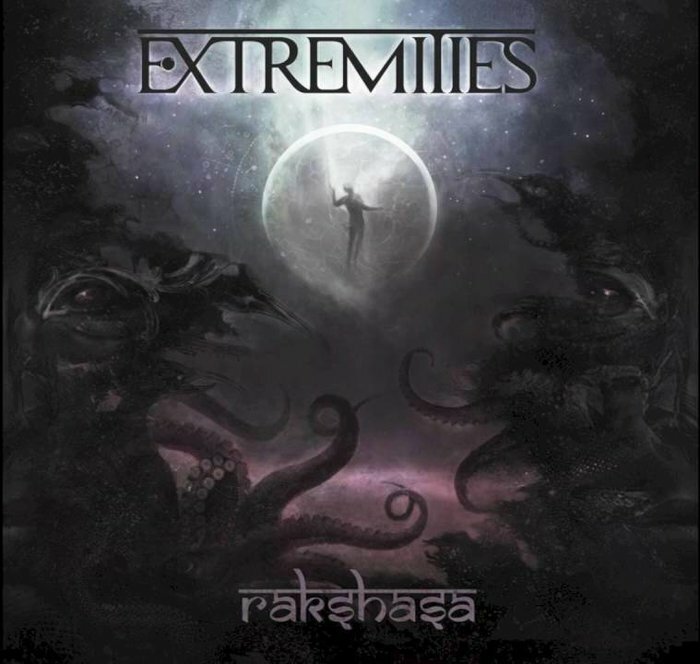 Extremities’ EP ‘Rakshasa’ incarnates progressive metal from the outset and throughout. The first track of this album ‘Bhor´ is a stretched out intro that lasts about four minutes. Mostly dominated by staccatoriffs, it builds up with mild aggression enhanced by the vocals of lead Thimo Franssen (ex-Shadowrise). The vocals shift from fragile and melodic to screams and grunts. The overlay between the intro and the titletrack is seamless. With ‘Rakshasa’ the band shifts gear and takes off its gloves. With full-blown mayhem as a result. The listener gets a break halfway through, with an ambient guitarsolo underlined with tactile vocals. This track definitely illustrates the diversity of the band, where they push all the boundaries within their own sound. It might seem like you get thrown around all over the place, which is just fine. The outro is bang-on and the track peaks into a certain climax which is built up. A very layered track. Moving on to the track ‘Suppression Edict’, which is a bit more blunt and straightforward. The variation between spoken parts and extreme vocals add contrast to this well-executed song with thick sludgy riffs. The same goes for ‘Thousand Faces’ which starts heavy, but carries on with an eerie and dark vibe, yet more calm than the intro. Great riffs throughout the track. The ender ‘Neurosis’ is heavy and harsh, with an emphasis on the screeching and almost screaming guitarplay. A very outspoken track with a ‘clean’ yet not as dynamic as the rest of the album. ‘Saanjh’ is an instrumental outro that binds the whole together. Overall a very well-executed album and a quality production. Extremities displays skill, dynamics and versatility. Besides building their foundation on progressive metal, other influences like jazz, post-rock and groove are coming through. Layered tracks with clean transitions. A very mature approach as far as songwriting goes, taking the listener with them on their journey facing Hindu demons. A great start for such a ‘young’ band! Baukje is telling you the truth and nothing but the truth! She writes awesome album and EP reviews of random Dutch heavy bands.